Two highly suspicious fires in March and May completely gutted both remaining buildings on this Grade One listed pier. 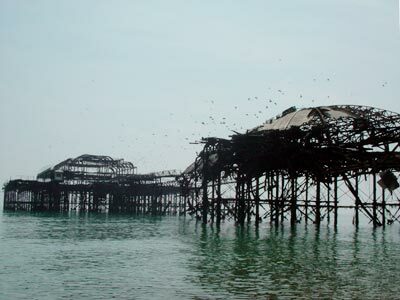 The pier has been closed since 1975 but had been awarded a £14m lottery grant for rebuilding. The nearby Palace Pier has constantly opposed these plans.